Foursquare transformed itself last year into a hyper-local concierge always running in the background of your phone—and your life. Now Facebook is taking a cue from the recommendation app with a new location-based place tips feature for iOS. Facebook will soon start showing you tips about places at the top of your News Feed. Unlike Foursquare, Facebook won’t show you tips about places in the neighborhood, just the spot you’re at. The new feature won’t clog up your feed—the option to view tips appears in an unintrusive bar at the top, and you have to tap through to see more information. 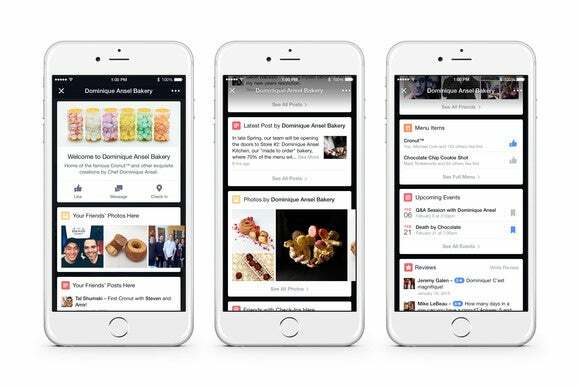 Facebook will round up your friends’ posts and photos from a particular place, like Manhattan’s famed Dominique Ansel Bakery, so you can see what they liked (the cronut, obviously) and what they didn’t. Place tips will also include information from the business page, like hours of operation, events, and menu details. To determine your location, the app will use Wi-Fi, cell networks, GPS, and Bluetooth beacons placed at particular locations (a limited number in New York City so far). You can easily turn off Facebook’s access to your location in Location Services, and to disable place tips, tap the Settings option in the hamburger menu, then tap Location > Place Tips Settings > Place Tips in News Feed Off. You can turn off place tips in your Facebook app settings. Foursquare shouldn’t be worried just yet, because its recommendation engine has been honed over years and builds on billions of pieces of check-in data. But Facebook has check-in data, too, and 1.4 billion monthly active users (compared to Foursquare’s 50 million). If Facebook’s tips catch on, Foursquare could be in trouble. But place tips will make better use of Facebook’s data, putting information front and center rather than making you comb through search results. The network’s rollout of Bluetooth beacons is a move to watch. Apple has been distributing iBeacons since the launch of iOS 7 in 2013, and we’ve seen some interesting uses of the technology, but it hasn’t yet gone mainstream. With Facebook now on board with beacons, we might see businesses adopt them at a much quicker pace. 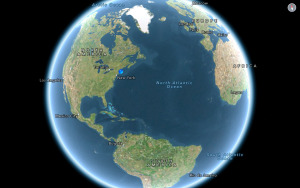 After all, few marketing moves make businesses happier than highly targeted, location-based, actionable ads.